NOVO-OGAREVO, September 27. /TASS/. Russian President Vladimir Putin has called the elimination of the last batch of Russia’s chemical stockpiles a historic event. The president spoke during an online video conference with Russia’s last storage facility in Kizner, the republic of Udmurtia, in the Volga Federal District, where the remaining stockpile of the country’s chemical weapons had been kept and disposed on Wednesday upon the presidential order. "Without fanfare, we can say that this is indeed a historic event given the huge amount of chemical stockpiles since the Soviet time. Specialists said it could be used to destroy everything that moves on the Earth several times," Putin said. Although Russia had planned to complete the elimination of chemical stockpiles by 2020, this was done ahead of schedule this year, Putin said. "This [elimination of chemical weapons] is a huge step towards making the modern world more balanced and safer," Putin said. So, Russia "will meet its key international commitments on the convention on banning chemical weapons." Putin recalled that Russia was one of the first countries that signed this document and has been working closely with its partners to "safeguard the humankind from the threat that such barbaric and deadly weapons may be used and proliferated." "Therefore, I remind you about Russia’s key role in solving the problem of Syria’s chemical weapons," Putin said. "Russia fully meets its international commitments, including in disarmament and non-proliferation of weapons of mass destruction," Putin said. Russia understands those "risks that may trigger the resumption of the arms race and attempts to break strategic parity." "We are always open for a substantive dialogue on all issues of global security and enhancing confidence-building measures," Putin said. "We expect that Russia’s efforts on eliminating chemical weapons will serve as an example for other countries," he said. 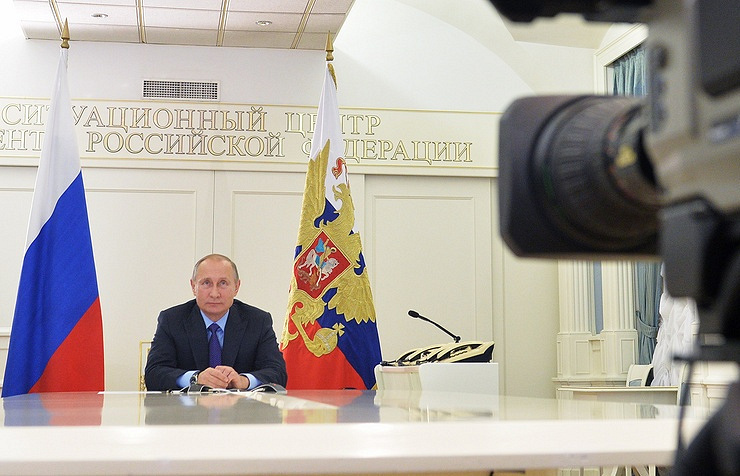 Russia and the United States have possessed the largest chemical stockpiles, Putin said. According to Putin, the United States "does not comply with its obligations regarding the terms for chemical weapons disposal: It postponed disposal terms three times already, including at the pretext of lack of budget financial assets, which, honestly speaking, sounds rather strange." "We expect that the United States, like other countries, will fulfil its obligations under international agreements," the Russian leader concluded. Russia signed the Convention on the Prohibition of the Development, Production, Stockpiling and Use of Chemical Weapons and on their Destruction, commonly known as the Chemical Weapons Convention, or CWC on January 13, 1993 and ratified it on November 5, 1997.